An assortment of SPDT, SPST, and DPST rocker switches from The Hillman Group. On/off rocker switches are ideal for range hoods and appliances. 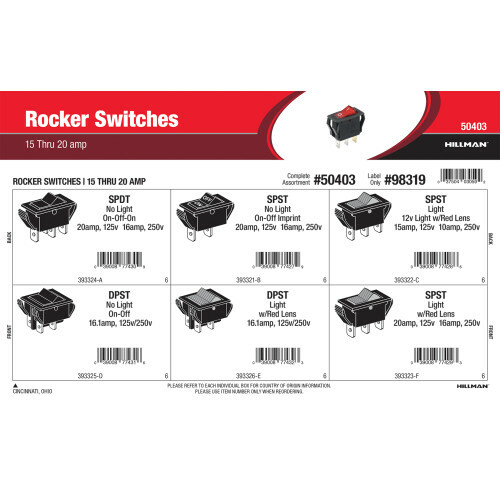 Rocker switches are designed to clip into the industry-standard panel. Variants included in this assortment come in 16amp and 20amp capacities. Full assortment contains three (3) items comprised of Hillman item numbers #393321, #393323, and #393326.